Although the 2"+ snow forecast did not materialize, we did have overnight precipitation and temperatures in the 20's, resulting in a mini ice storm. 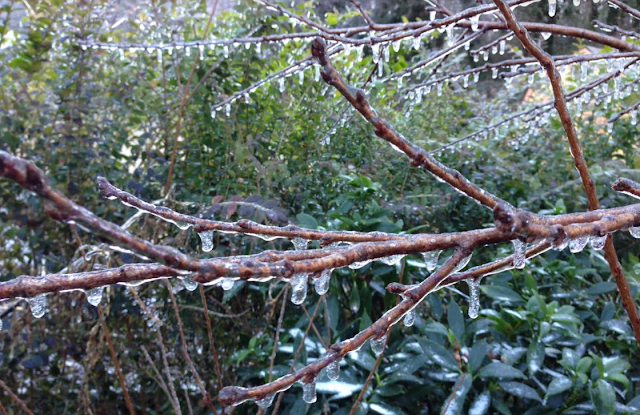 Twigs are glazed in ice, sidewalks and pavement look clear but there's a lot of patches of ice. Careful when/if you step out today!